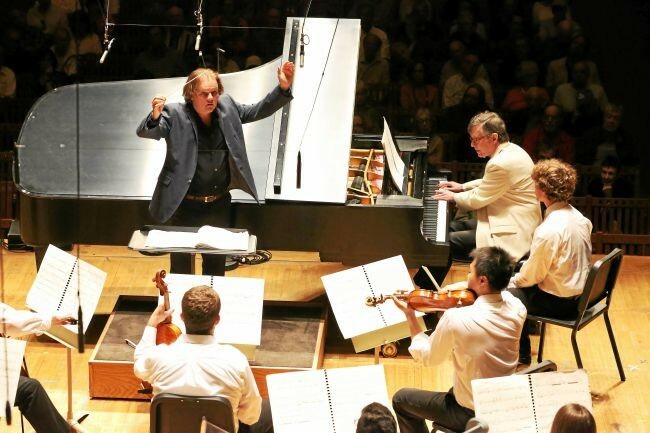 For many of us, the conductor of an orchestra creates an alchemy which can produce music triggering every possible emotion - although relatively few of us have an intimate knowledge of how the process works. In his talk on February 10th, Jonathan Berman offered a magisterial guide to the role of a conductor and how they "sculpture" the composer's work to create a sound which, more often than not, can be quite magical. 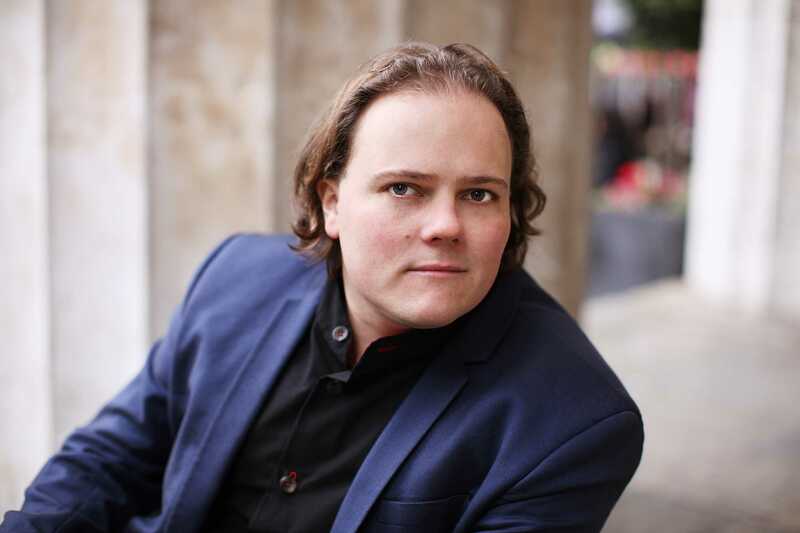 Jonathan is an award-winning conductor acclaimed for his operatic, orchestral, and contemporary repertoire. He has an international reputation working in Germany, UK, US, Italy, the Netherlands and Scandinavia - and is broadcast and regularly on radio and television. He was the winner of the prestigious Kempinski Young Artist Programme 2014 in Berlin. This enabled him to spend time with Franz Welser-Möst and the Cleveland Orchestra, and with Michael Tilson Thomas and the New World Symphony Orchestra. He was the first conductor and first Briton to win the prize. At the start of his talk, Jonathan highlighted conductors, such as Franz Liszt, Gustav Mahler (indeed, both also composers) and Sir John Barbirolli as legends from the Old School who ruled all before them - and contrasted them with the new breed of younger star-conductors, often with a mane of hair, who are at the heart of a marketing machine which establishes them firmly as the face (literally) of the orchestra, with a huge photograph often emblazoned across the sides of the trucks hauling the orchestra's instruments between concerts. Most conductors of globally-famous orchestras are still men, although a number of equally accomplished women are now at the helm of leading orchestras, such as Mirga Grazinyte-Tyla at the City of Birmingham Symphony Orchestra. Their roles are extensive and Jonathan highlighted the long list of responsibilities of the conductor, including promoting concerts, administration and rehearsals - indeed, actually creating music at a concert can be a relatively small feature of the job. To illustrate the conductor's art, Jonathan showed us clips of what is often seen as the approach - Bugs Bunny simply raising his arms, with rippling fingers, to get a performer to sing high and lowering them for a bass note, as well as Rowan Atkinson windmilling his arms and even going into disco-moves whilst "conducting" the opening of Beethoven's Fifth Symphony. Jonathan pointed out they were both simply reacting to the music, as opposed to the correct technique of the conductor, beating ahead of the notes on the score - and then, with supreme multi-tasking, listening to the sound from the orchestra and then sculpting the performance. Jonathan showed us a facsimile of the score of the opening of Beethoven's Leonora Overture and took us through the army of notes and symbols to show when certain instruments play individually and when together - as well as the tempo and dynamics. Of course, this process can lead to interpretations and Jonathan showed us clips of three famous conductors and their different approach to the beginning of the Leonora Overture. And, in another illustration, he showed us how a conductor invariably listens for the sound he wants, with Leopold Stokowski demanding time and time again in one rehearsal that the orchestra play "together" at the start of one particular work. Of course, interpreting the composer's instruction on tempo, such as allegro, presto and adagio, is open to wide interpretation and, indeed, it is hard to say which performance is correct - only, perhaps, which appeals most to the individual listener. One performance of Leonard Bernstein conducting Elgar's Enigma Variations lasted three times longer than usual, although Jonathan suggested it was still magnificent. With concerts, Jonathan described how some performances inexplicably work better than others - rather like a football team of highly talented players may not always combine perfectly. He recalls one performance of Benjamin Britten's Albert Herring where little niggles crept in, such as a door banging just as the orchestra was about to start - and then a mysterious lethargy in the playing. However, on another occasion, the orchestra was tired through days of touring and an airline strike - and yet, in the evening, they gave a stupendous performance. Jonathan suggested all the adversity may have made the musicians concentrate even harder in order to acquit themselves well. Jonathan is much sought-after in repertoire ranging from classical to contemporary. His recent engagements have included City of Birmingham Symphony Orchestra, Rotterdam Philharmonic Orchestra, London Philharmonic Orchestra, BBC Symphony Orchestra, Turku Philharmonic, Basel Sinfonietta, Bilkent Symphony Orchestra, Lithuanian National Symphony Orchestra, Tanglewood Festival, Britten Sinfonia, Hagen Philharmonic Orchestra, Southbank Sinfonia, City Chamber Orchestra of Hong Kong, and the Aldeburgh Festival Orchestra. He is a tireless champion of new music working closely with the composers of today - Knussen, Goehr, Birtwistle, Maxwell Davies, Benjamin, Anderson, Harbison, Gandolfi, Turnage, Schuller, Wuorinen and many more from his own generation. During his talk in Wootton, he didn't venture into this area - which is often not always as popular as the major composers. However, with new music, he pointed out it is rather advantageous for a conductor to be able to talk with the composer, sitting in the stalls during a rehearsal, and ask them if a certain sound is what they had in mind. During the rehearsal of a Beethoven symphony, on the other hand, that luxury is not available.